Need an invite to Google+ ?? NOTE: We will do our best to help all in our networks get into Google+ Beta, but there is no guarantee when (as the invites is taken on/off ever so often)! 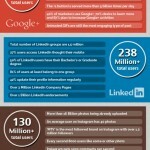 Dette indlæg blev udgivet i Networking, Social, Tools og tagget Google+, GooglePlus. Bogmærk permalinket.